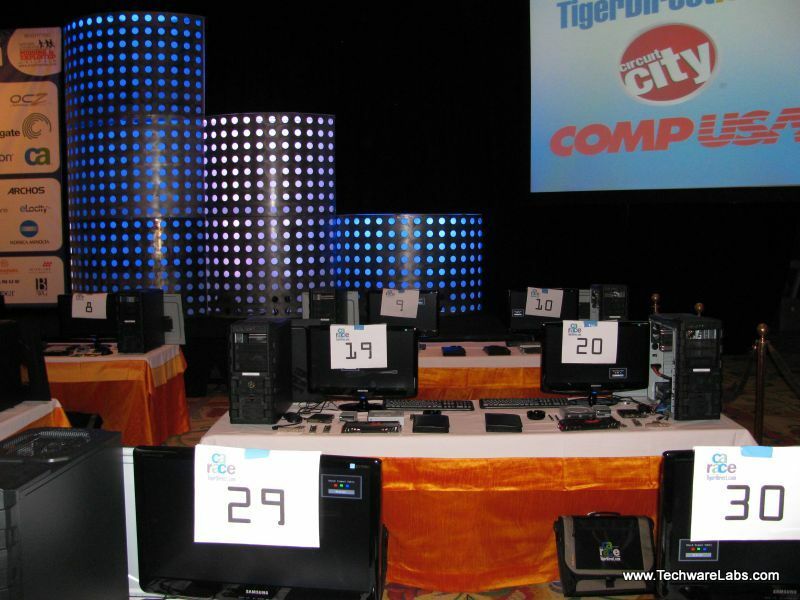 Systemax’s 14th Annual “Build Your Own PC Race” for charity, sponsored by many companies including CA and TigerDirect.com, was held on Thursday, January 6th 2011 at the Wynn Las Vegas Resort. 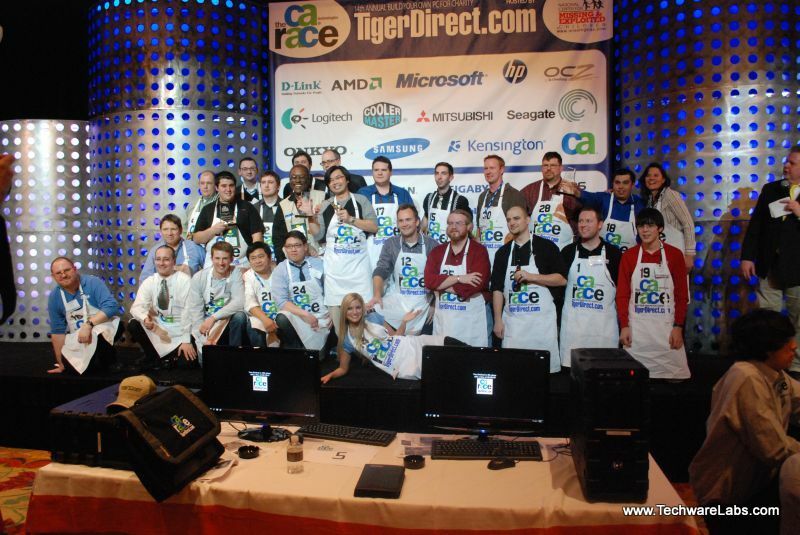 The charity event held the first night of the Consumer Electronics Show, features 30 top industry journalists competing in a race to assemble systems based on AMD processors in record time. Last years winner, Chris Ramseyer of TweakTown.com, clocked in with a build time of 6 minutes and 53 seconds awarding $10,000 to Mooresville Indiana Parent Teacher Organization. Overall last year’s event raised over $2.5 million dollars in case and computer equipment donations for charities around the country. This year’s event awarded donations to the National Center for Missing and Exploited Children. At the completion of the race, all 30 computers built by the journalists were donated to the center, along with cash donations in the amount of $13,500 were made in the name of the top three racers. Many familiar faces and first timers participated in this years event. The annual PC race event provides an opportunity to earn bragging rights while raising dollars and awareness for charity. The 2011 PC Race participants. TechwareLabs very own Josh Martin took 2nd place at this years charity race, awarding $2500 in his name to the National Center for Missing and Exploited Children.